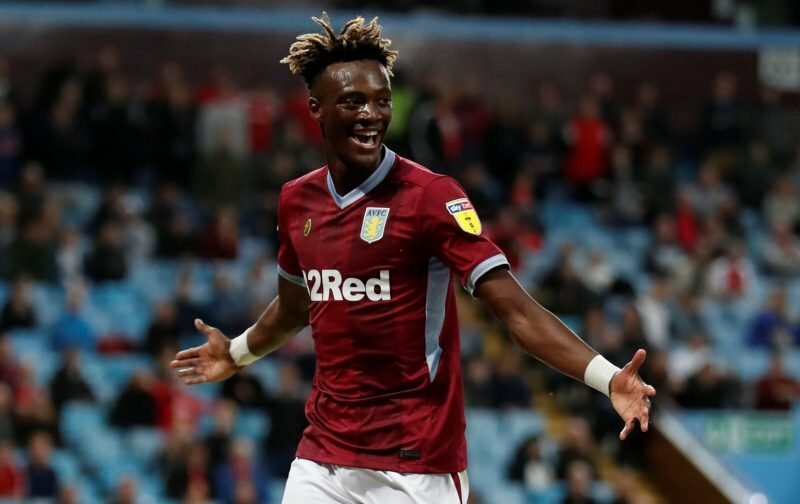 With ongoing speculation concerning the future of on loan Chelsea striker Tammy Abraham, Aston Villa head coach Dean Smith again faced questions about the 21-year-old has he met with the media this week ahead of our FA Cup third round tie with Swansea City. With competing claims in the media surrounding the veracity of suggestions Chelsea will/can recall him and then either loan him out again to a Premier League club or alternatively, simply sell him given the regulations in play, Smith believes any decision on his future will be made by Abraham himself. The only thing fans can be sure of given the speculation is that Chelsea naturally hold a recall clause on him that could be used at some point this month – I personally still don’t see why they’d use it though. Speaking to Sky Sports as he met with the press ahead of this weekend’s game, Smith explained. Smith went on to say that in many ways you only had to look at how he’s playing and the way he has a smile on his face to know he’s enjoying his time at Villa Park, so he sees no reason why that would change. Abraham’s already experienced good loan spells, and the bad given his time at Swansea didn’t go how he would’ve liked, and I may be wrong (wouldn’t be the first time) but he’s not playing like someone who wants out. certainly need him to stay , he’s scoring on a regular basis and if we can gain promotion surely we could secure his services with a permanent move. As with Jack our new owners have to continue to put the not leaving signs up where we can otherwise we will have the same thing with players going from Villa every time they show any promise. Smith’s Villa style of play benefits Abraham and he should think hard before he moves, appreciate Chelsea have a major say in this.